All power in a powerful partnership. For several years we have passed a difficult, but interesting way in the partner VMware system from Professional to Premier status. In 2018, our company actively worked and conducted IT integration among Ukrainian and European companies, and we did it! 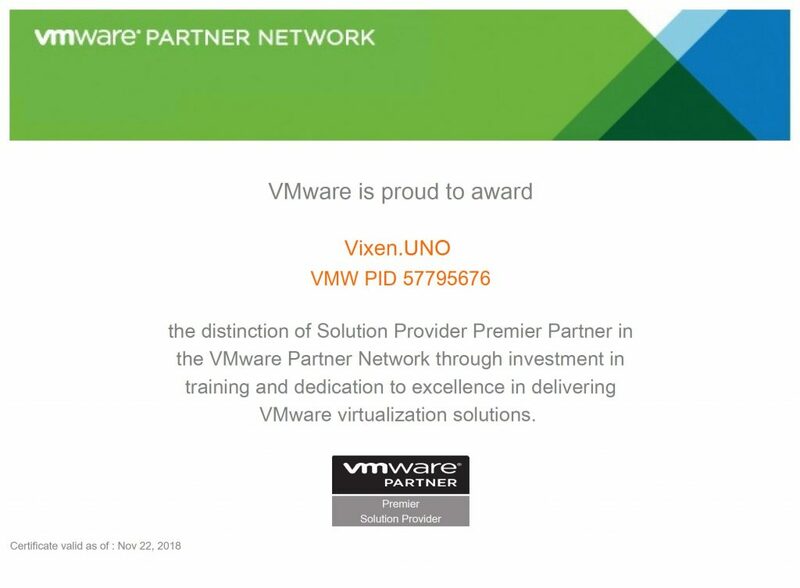 Solemnly declare that the company Vixen.UNO received the status of Provider Premier Partner from VMware. The feeling is excellent, because together with the status we received additional benefits and opportunities that we will share with you in the future. We thank all our partners and customers!